Rembo Styling | Complete your look by adding the perfect jewellery! Complete your look by adding the perfect jewellery! Our tips to complete your look by adding the perfect jewellery! We have created a beautiful jewellery collection in collaboration with Studio Collect to complete your Rembo Styling look! 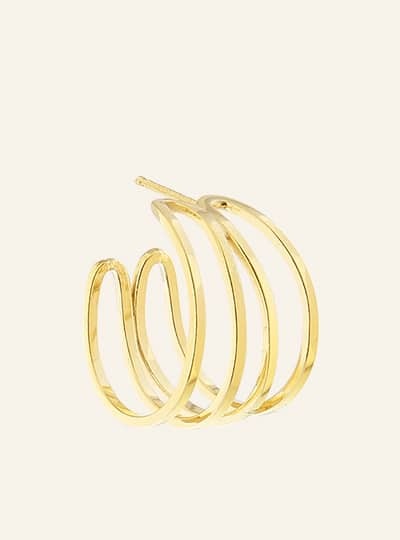 Studio Collect is a Belgian jewellery brand known for its simple, yet inventive jewellery with a strong and fresh look. The collection contains the finest earrings, necklaces and bracelets, and we’re 100% convinced you will find that one perfect piece of jewellery to finish you look! Our designers came up with some interesting tips & tricks about how to pick your jewellery that will match the style of your dress perfectly. Does your dress have a high neckline like some of our dresses have? Go for earrings! You don’t want your jewellery to take away the attention from the dress, so that’s why it is best to not add a necklace. The right earrings will make your whole look more powerful. 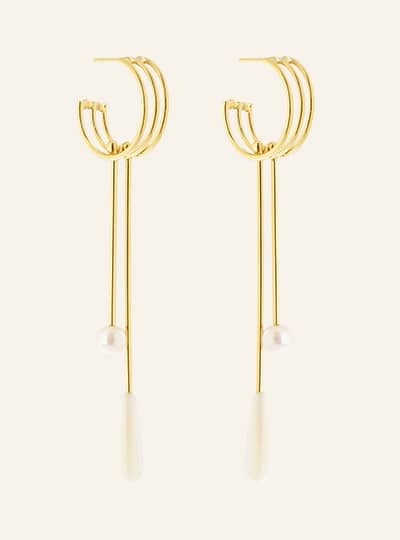 If you want earrings that are a bit more subtle, go for our Erica or Ellie earrings. If you want your earrings to make a statement, go for our Eloise or Emma earrings. Do you have a strapless dress, a dress with a more open neckline or a V neckline dress? A necklace will finish your wedding look perfectly. 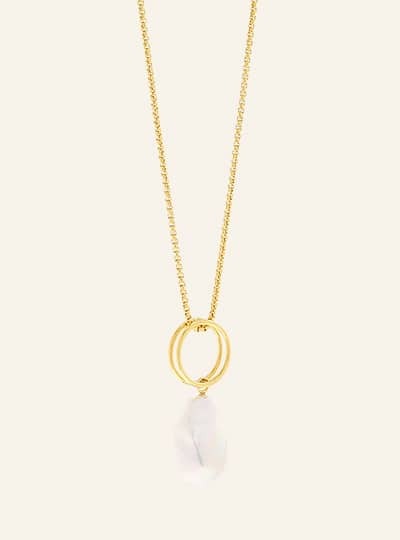 A shorter necklace like our Noa necklace will look beautiful with a strapless dress. 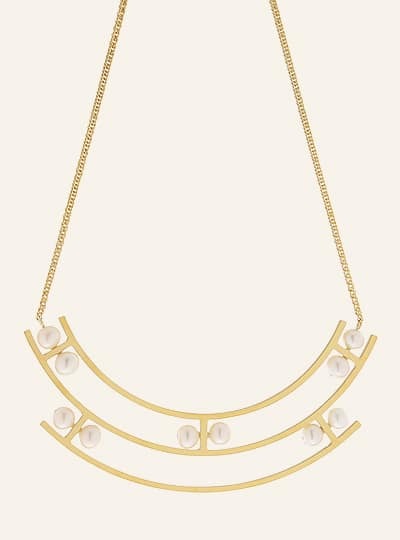 Our longer Nina necklace will be your perfect match if you have a deep V neckline. Of course you can add earrings or a small bracelet as well, but don’t overdo it. Your jewellery should enhance your look, it should not be the centre of attention. Rather a fan of bracelets? Don’t have your ears pierced? That is fine as well! Make a statement with our Beatrice bracelet. Bracelets will combine perfectly with a lot of dresses, except dresses with long sleeves. Your bracelet will not be visible anymore, so it would be better to invest in earrings or a necklace when wearing a long sleeved dress. The most import part is, choose something that you love and be happy. A big smile is the most beautiful accessory and will match any dress. What about the colour? Take a look at what matches best with your skin tone and don’t forget to match the colour of your shoes with your jewellery. All our jewellery is available in gold and silver, so you will definitely find something that you will love, in our jewellery collection.